MILLSBORO, Del. – A Smyrna man was arrested Thursday evening after he reportedly led police on a pursuit through Millsboro. Just after 7 p.m., troopers saw a red Ford Ranger with no brake lights on Cannon Road near Mount Joy Road. 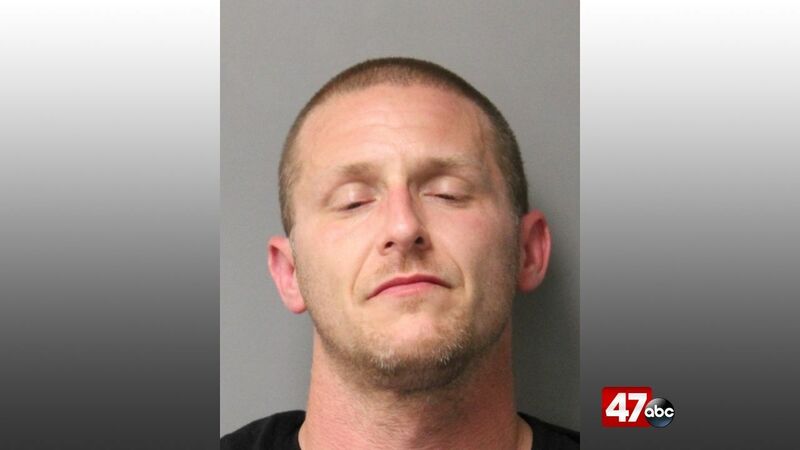 The trooper then tried to initiate a traffic stop, but the driver did not stop and instead turned onto John J. Williams Highway and cut through several parking lots to get to Layton Davis Road. During this time, several traffic violations were committed and the vehicle was seen drifting left to right, crossing over center lines. As the pursuit continued, the driver continued violating the law by speeding and talking on his cell phone. He was also seen throwing objects out of his window during the pursuit. Eventually the driver stopped on John J. Williams Highway in the area of Indian Mission Road, got out of the vehicle, and proceeded to flee on foot. Police were able to apprehend the driver, identified as 41-year-old Wayne Revel Jr., and took him into custody. The items he threw out of the window were recovered and included drug paraphernalia. It was also learned that Revel had active warrants out for a protection from abuse violation and violation of probation.